The MYER Visa and the MYER Card are two credit card products provided by Latitude Financial Services. Latitude Financial Services is also a provider of other credit cards, personal loans and car loans, personal insurance, and interest-free and promotional retail finance. Myer no longer accept applications for its Myer Visa Card. The information on this page has been kept for historical purposes. MYER and Latitude Financial Services have partnered to create two credit card products: the MYER Visa and the MYER Card. We have outlined the features and rates of the two cards below. These two cards participated in the MYER one rewards program, for which members require a MYER one card. The MYER one card is simply a loyalty card; it is not a credit card and charges no annual fee. MYER one reward points can be redeemed in-store, online, or via the MYER one app. What is the MYER Visa? The MYER VISA is a Visa credit card product offered by Latitude Financial Services, which earns rewards points in the MYER one rewards program. It should not be confused with the MYER Card, which is a storecard – a credit card that can only be used in-store at MYER or MYER affiliated stores. 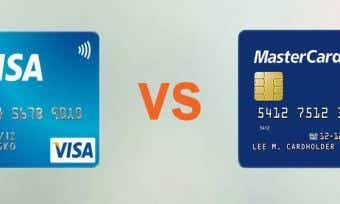 Contactless payments: Visa payWave enables contactless payments with the card (without a PIN for purchases under $100 and with a PIN for purchases of $100 or more). Online: Card can be managed through MYER Visa Card Online Service Centre (online banking). Security: Card protected by chip technology, FALCON fraud protection, MYER Visa Fraud Secure money back guarantee, and Verified by Visa when shopping online. Interest-free 0% plans: Buy Now Pay Later option available on all purchases in-store at MYER. Rewards program: Earn MYER one Shopping Credits for every $1 spent on everyday purchases. The MYER Card is a storecard – a type of credit card that can only be used in-store at MYER and MYER affiliated stores. Online: Card can be managed through MYER one online banking portal. Permanent Australian resident or non-Australian permanent resident with at least 12 months left on your visa. Earn at least $15,000 p.a. or more. Proof of regular income (recent payslips). If renting, you will need to provide your landlord’s details. First, check whether you are eligible to apply for a MYER Visa. See above for the eligibility requirements. If you meet the eligibility requirements, you can apply online – it takes less than 10 minutes, according to MYER. Have your ID and income details handy and check our list of documentation you may need when applying for a credit card. You can expect to receive a response in less than 60 seconds (MYER). In some cases, an instant response cannot be made and you will need to provide further information before the card can be approved; in this case, the card provider will contact you. How do I manage my MYER Visa through online banking? You can manage your MYER Visa credit card through online banking using the MYER Visa Card Online Service Centre. The online banking website can be viewed on mobile device, tablet device, or PC. Use online banking to do things like view your recent transaction history, view your balance, and access up to 7 years of statements. The MYER Visa Card Online Service Centre allows you to manage your account at a time that suits you. This service allows you to check your account status and transaction history, maintain your account profile, make BPAY payments and request a credit limit increase. You can also access and print up to 7 years of statements. How is interest calculated on my MYER Visa? Interest is charged when you carry a balance on your MYER Visa. Interest is charged on cash advances from the date of withdrawal (fees and charges apply) and balance transfers from the date of transfer. Up to 62 interest-free days apply to MYER Visa purchases if you have paid the balance in full for the previous month’s statement and for the current month’s statement (the statement on which the purchases are listed). Interest is not charged on the 0% Interest-Free Payment Plans available on the MYER Visa until the interest-free period expires. Terms and conditions apply. 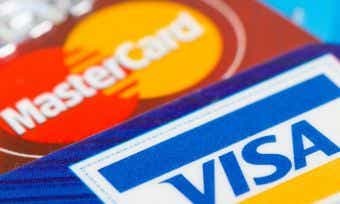 What will my credit limit be on my MYER Visa? Your credit limit for a MYER Visa will be determined based on the information you provide in your application, keeping in mind the minimum and maximum credit limits available for each card. To request a certain credit limit, log on to the Online Service Centre or call the Customer Solutions team on 1300 783 520. Find out more about how credit limits are determined here. How do I close my MYER Visa account? The MYER Visa is a credit card product provided by Latitude Financial Services, a financial institution in Australia and New Zealand that offers credit cards, personal loans and car loans, personal insurance, and interest-free and promotional retail finance. MYER is Australia’s largest department store chain, with 67 stores around the country. MYER was founded by a penniless Russian immigrant, Sidney Myer, in the 1890s. Mr Myer was renowned not only as a highly successful businessman but also as a leading philanthropist. His legacy continues today through the Sidney Myer Fund and the Myer Community Fund. In 1934, more than 100,000 mourners lined the streets of Melbourne in the funeral procession to pay their final respects to this much-loved member of their community. 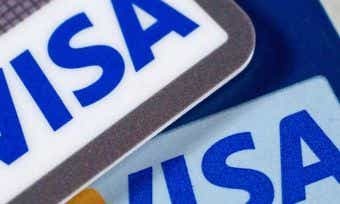 How does VISA make money?